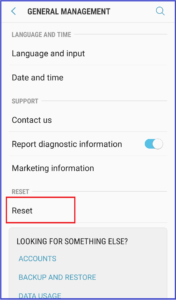 Do you want Hard Reset your Samsung Galaxy A9 (2018) mobile because of slow down issues? 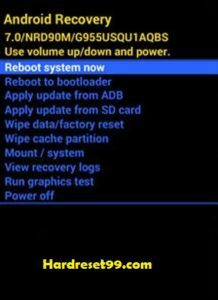 Here are the best methods available to reset your mobile. You must Backup all your device data to prevent data loss. 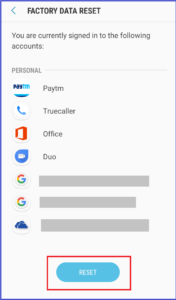 In the next step choose Yes option, By using to navigate Volume Buttons and to confirm Power Button. Finally Select reboot system now. 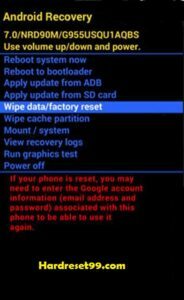 Hard Reset done on your Samsung Galaxy A9 (2018) mobile. After that, then select Reset option. 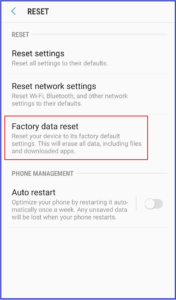 Then Select option Factory data reset. Finally, tap on the Reset option. 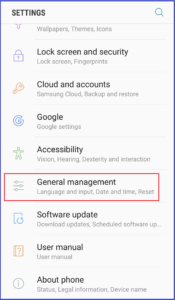 Factory Reset done on your Samsung Galaxy A9 (2018) mobile.